Arthur Nelson is a remarkable man. 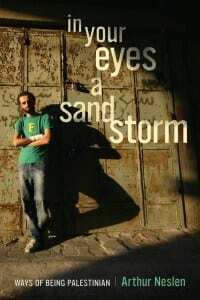 Late last year we published his book, In Your Eyes a Sandstorm: Ways of Being Palestinian. Starting with the basic question: “Who are the Palestinians?”, this compelling book of interviews reaches beyond journalistic clichés to let a wide variety of Palestinians answer the question for themselves. 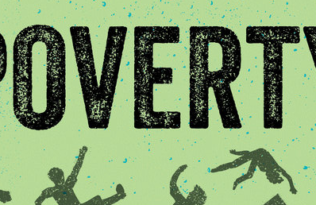 Beginning in the present with Bisan and Abud, two traumatized children from Jenin’s refugee camp, the book’s narrative arcs backwards through the generations to come full circle with two elderly refugees from villages that the children were named after. As compelling as this is, and what isn’t compelling about someone willing to contribute understanding and perspective to the ongoing Palestinian discussion, it wasn’t what ultimately moved me to push “Publish” on this post. What did, and I certainly hope you find it compelling as well, is this article from The Guardian. In 2009, while working in Gaza, Arthur was attacked on the street by a knife-wielding stranger. Last year, the Guardian commissioned him to interview the man who attacked him. This is the resulting feature article. That said, Arthur has put together a first-rate website to give readers deeper context to his articles and books. Speaking of books, here are reviews of In Your Eyes a Sandstorm from The Jewish Daily orward and The National.